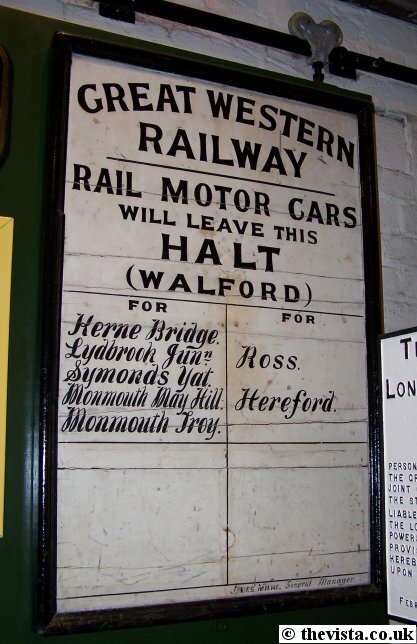 In the Kidderminster Railway Museum is the destination board from Walford Halt. 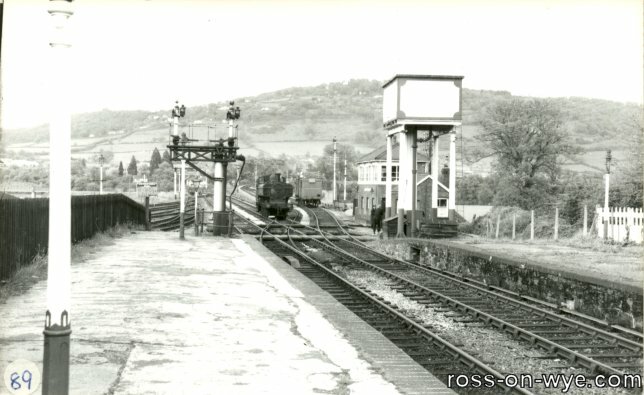 The Wye Valley line ran south out of Ross down to Monmouth and passed through Kerne Bridge on the way. 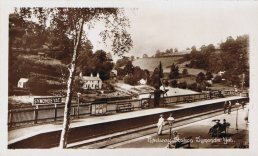 Here we see a postcard view of Kerne Bridge with Kerne Bridge railway station seen to the right side of the shot. 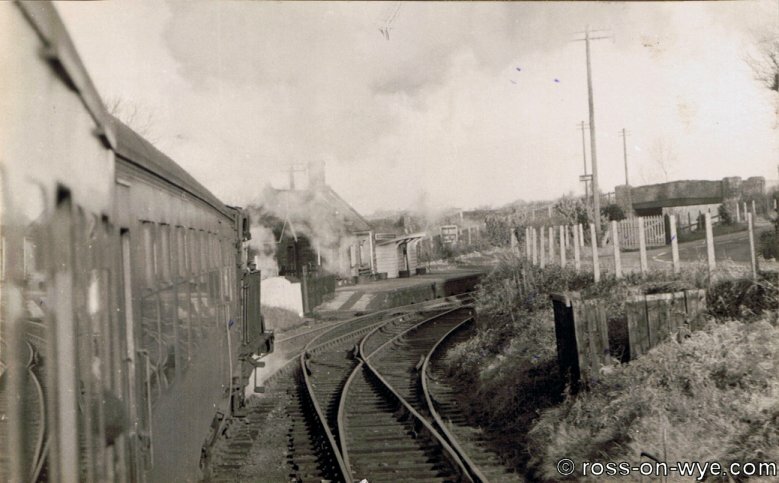 There is an auto train in the station being pushed by 1400 class 0-4-2T ‘auto tank’ locomotive (possibly no. 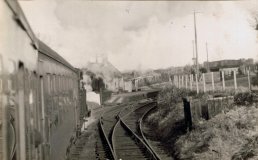 1425 or 1445 both of which regularly ran the line) with it's auto trailer which were commonly used for local passenger train services. 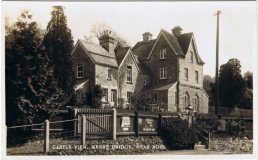 Kerne Bridge railway station was located next to the road bridge on the left bank of the river and finally closed in 1959.It then became an outdoor activity centre and much more recently became a private house. This is a photo of the Station as seen from a passing bus prior to the closure of the line. 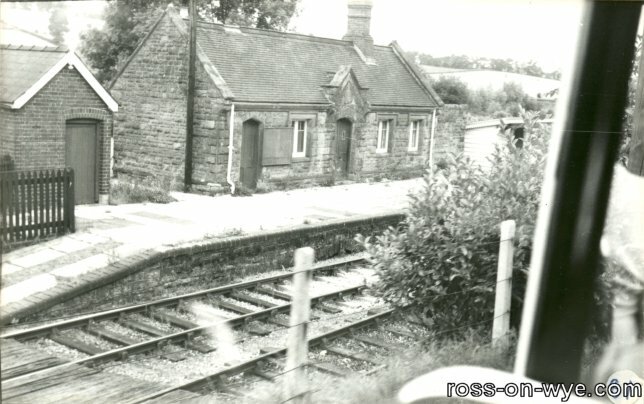 The original size of the Station can be clearly seen prior to its extension to make it into the house as seen today. 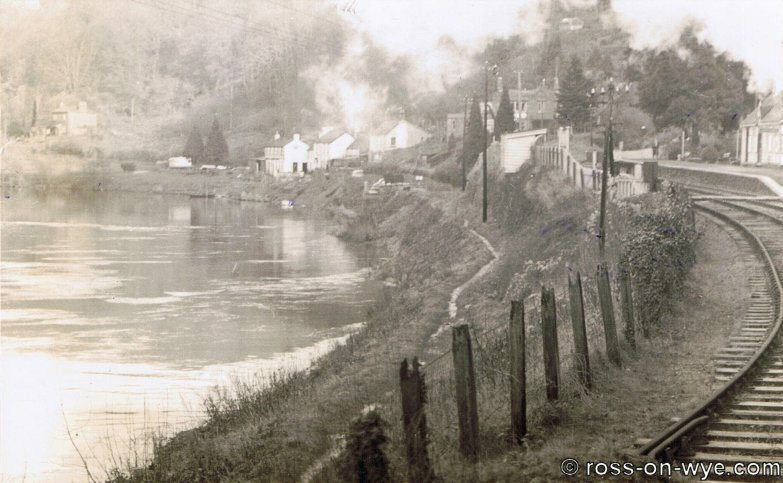 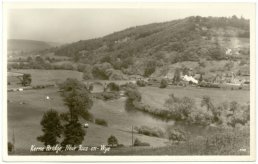 This is a photo postcard showing the Castle View Hotel (left) [now The Inn on the Wye], the siding with trucks (centre) and the bridge (right) over the River Wye. In the middle-right foreground can be seen a tent beside the river and in the very centre of the shot can be seen the village of Kerne Bridge. 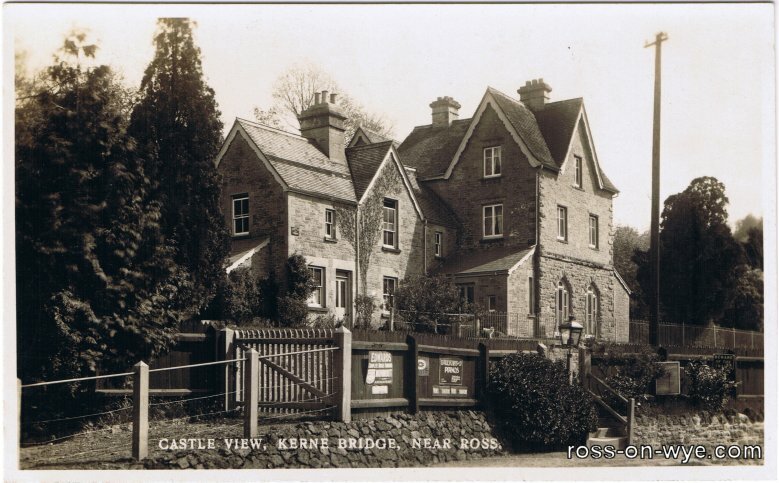 This is a photo postcard of the Castle View Hotel which is now The Inn on the Wye. 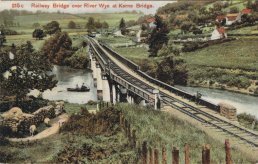 These two postcards both show the railway bridge at Kerne Bridge. 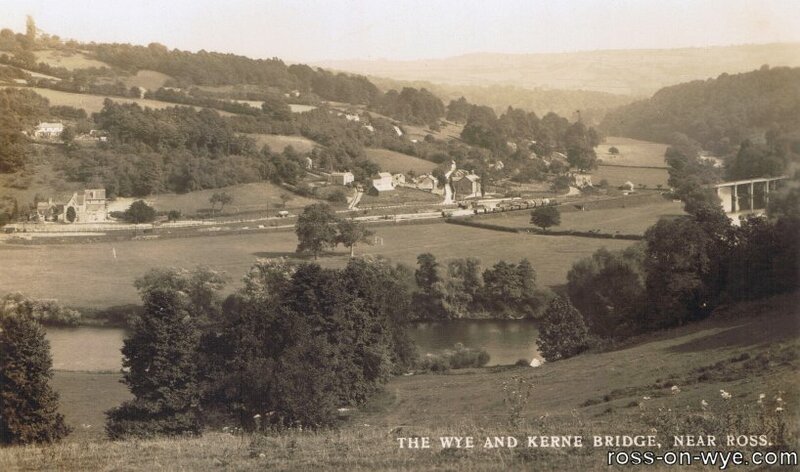 Both appear to show the same view (except one has been hand coloured). 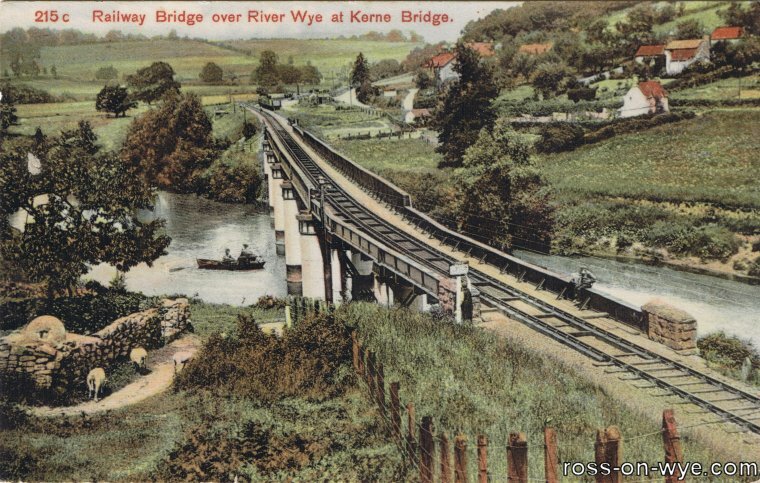 In actual fact the one on the right has had two men rowing under the bridge added. An Auto Train is an engine and carriage, called an auto trailer, that can be controlled from the end to the carriage furthest from the engine. 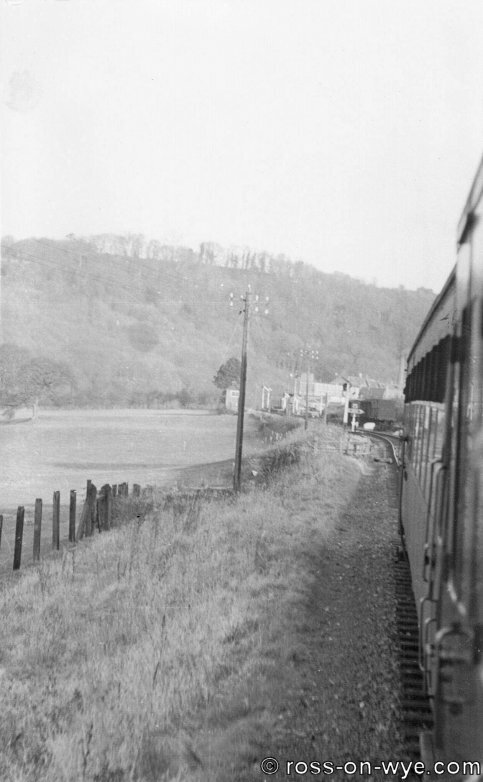 This photo was taken looking down the side of the train back towards the station. 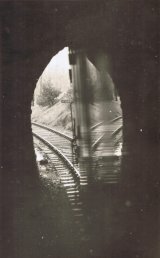 It can be seen that the engine was pushing the train up the line towards Ross. 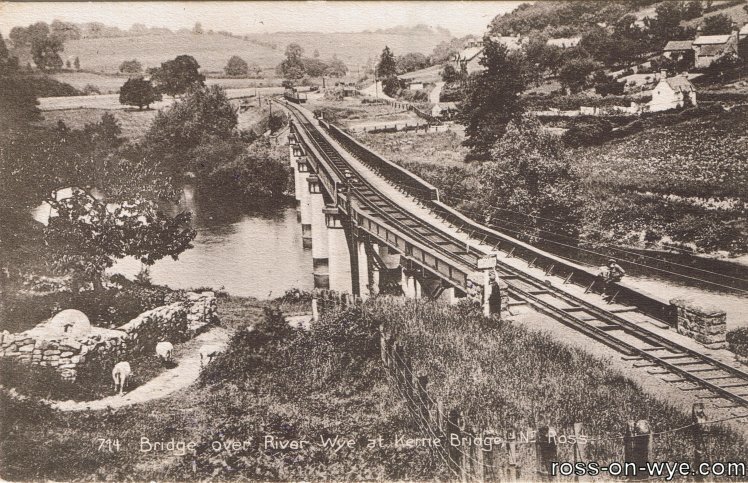 Lydbrook Viaduct was an impressive structure that carried the railway over the valley. 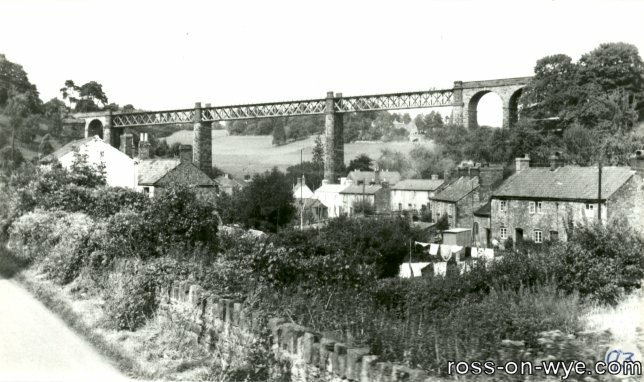 The foundation stone for the viaduct was laid on 9th November 1872 and the viaduct consisted of five stone arches and three wrought iron girders of the Warren pattern; two spans of 120ft span and the other with a 150ft span all of which was 90ft above the valley floor5. 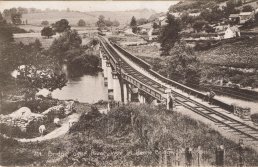 The work was contracted, at a cost of £7,396, by the Crumlin Viaduct Works and the masonry works were carried out by Billups. 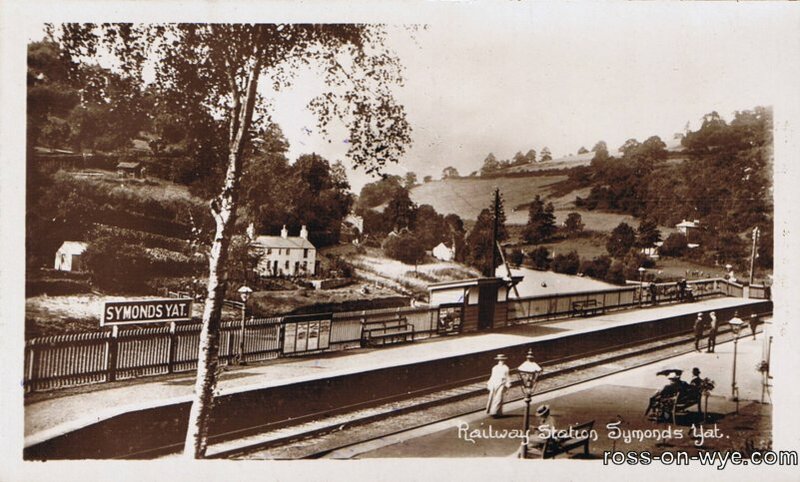 The viaduct was opened on 26th August 1874 and the first passenger train arrived in Lydbrook Junction from Lydney at 1.20pm on 23rd September 1875 which was pulled by the 'Robin Hood' which was a GWR Waverley class 4-4-0 (1855 - 1876)4 which was a broad gauge loco. 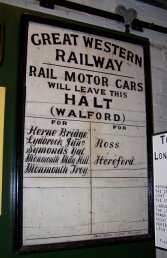 Regular passenger services were withdrawn in 8th July 1929, the line was finally closed on 30th January 1956 and the Viaduct was removed in 19655. 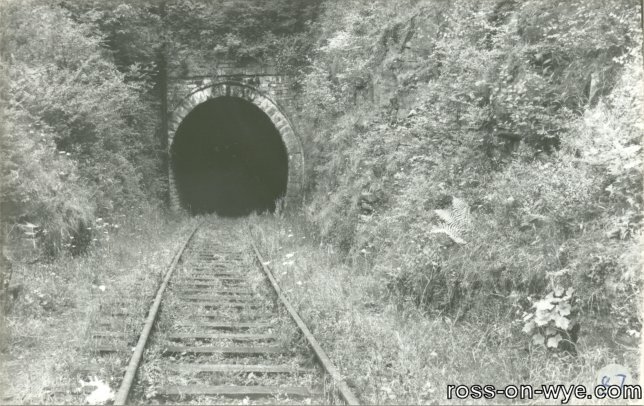 The following are a number of photos and postcards of the railway station and tunnel at Symonds Yat. 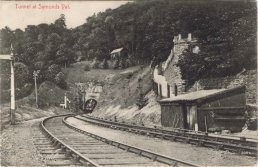 This postcard shows the tunnel mouth, with an engine coming out of it, with a building above it, several lower quadrant signals, mock crenellated walls and a worker's hut with various tools outside. 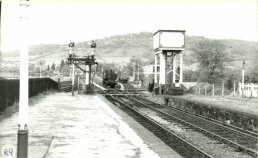 Monmouth Troy was set in a beautiful location, with the River Wye flowing by the eastern end of the station whilst it was backed by two large viaducts carrying the lines to Ross on Wye and Chepstow. 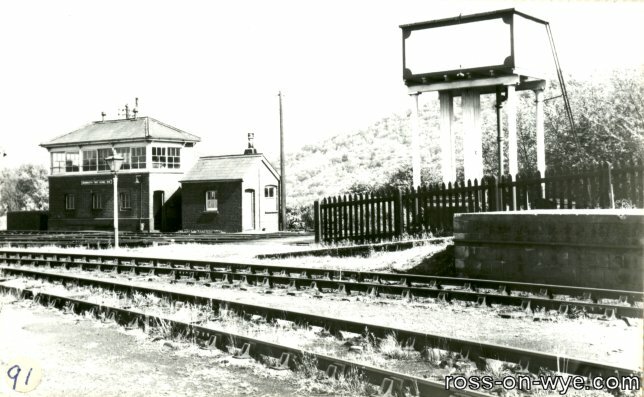 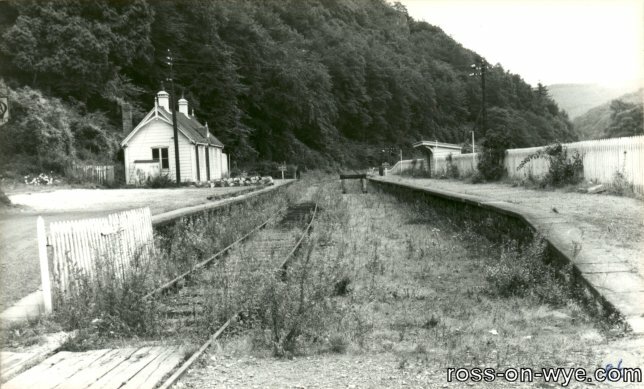 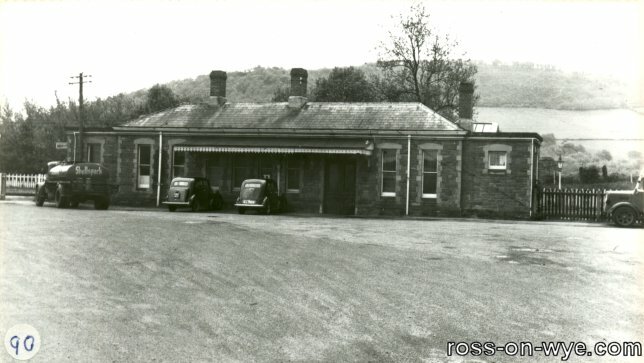 The Station was opened in 1857 and was a busy country junction connecting Monmouth with lines to Pontypool, Ross-on-Wye and Chepstow. 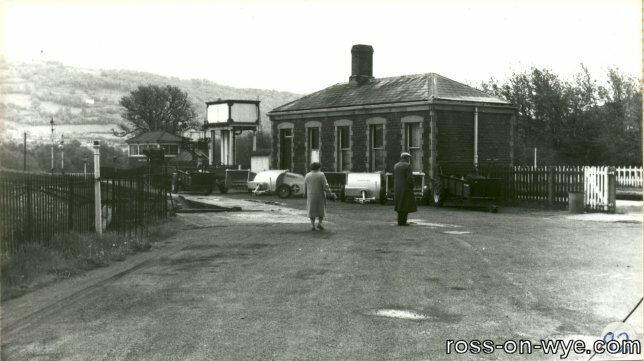 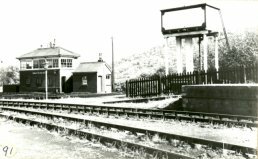 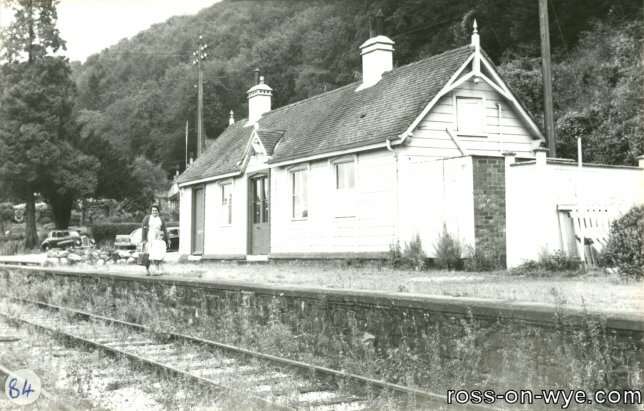 The station closed to passengers when the services to Monmouth stopped on 5th January 1959 and was abandoned after goods services ceased on 6th January 1964.